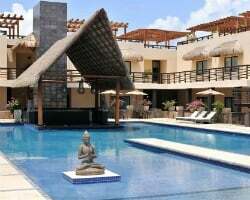 Luxury vacations will be yours to find at *La Divina by Aldea Thai Private Residence Club*. This Playa del Carmen resort features personal services beyond your wildest imagination along with elegant and sophisticated Thai design throughout. Enjoy newly remodeled villas with top of the line entertainment systems, breathtaking ocean views and incredible rooftop gardens with pools. The resort is also conveniently located near amazing nightlife, exquisite dining and diverse shopping. 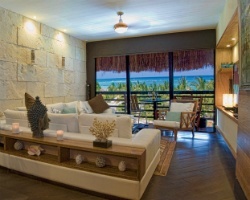 Rare resale opportunity at this gorgeous Playa del Carmen resort with Thai styling throughout! Breathtaking ocean views & exceptional service! Great couple getaway! RTU in perpetuity! Buyer May Receive A Title Fee Credit, Inquire For Details! Floating week of your choice! RTU in perpetuity! Buyer may receive a title fee credit, inquire for details! Come and explore Mexico each year with a RTU until 2037! Buyer May Receive A Title Fee Credit, Inquire For Details!